Chadwicks - The Law Firm commenced operation in 1998. Originally the Firm had a separate provider for telephone and fax services and a separate Provider for internet services. Within the first year of operations, we were introduced to Mr. Alex Kain of Escape Online. Alex offered the Firm a bundled package which would save the Firm up to 50% of the amount it was spending on telephone, fax and internet services combined. As times moved and technology progressed, Escape Online progressively changed and upgraded the Firm's package and technology to the point where the Firm was using the "VOIP" System integrating telephone, fax and internet services. The "VOIP" System was upgraded as technology improved and the Firm's package was also changed to meet the increasing levels of use in the most cost effective way. Here at Chadwicks -The Law Firm we rely on the internet, mail service and telephone and fax systems without which the business cannot operate smoothly, properly or at all. However, in our 12 year association with Escape Online, there have been less than a handful of instances where the System has "gone down". Perhaps the most important and pleasing feature about Escape Online is the service that we have received from its Founder and Director, Alex Kain. We have never encountered a problem with the System or had any billing enquiries that were not dealt with promptly and professionally. Alex has always taken the time to deal with our queries, assist with problems and discuss billing options to the point where we have always been satisfied. On the rare occasion when it has been necessary, Alex has attended our office to inspect our equipment and connections to make sure that any problems that we may have been experiencing are not simply equipment or cabling related. We have been very happy with the service that we have had from Escape Online over our 12 year relationship. This is not just because we believe that we are saving hundreds if not thousands of dollars every year, but because far more importantly, we have the comfort and security of knowing that there will always be a "local" person on the end of the line that we can speak to and who is always happy to attend to and deal with any problems or queries we may throw at him. In addition to Alex, any contact that we have had with other members of staff at Escape Online have only ever been pleasant and we have always found everyone willing to be of service and to assist where possible. I would certainly recommend Escape Online to any small business and especially a new business starting out, to provide a total technology solution for telephone, fax and internet usage. I would be more than happy to provide further information or feedback on request. “Moose Enterprise is Australia’s premier toy design and development company and our products are sold in over 75 countries. We have about 120 domains that require management and our business success is dependent on outstanding domain and internet service. 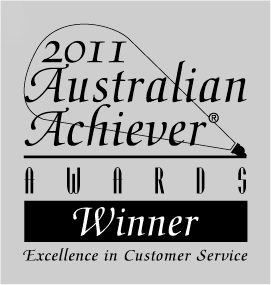 E-mail is critical for us and Escape Online have always been able to assist is with our communication and domain needs. It’s imperative we have someone we can trust and as we sell direct into the US, our website depends on our domain being active. We regard them as communication partners because they have consistently proven themselves and they are integral to our success. They understand our business requirements so are able to provide and recommend solutions that are suitable for our needs. No question or query is too big or small and they are easily contactable for us. It’s easy doing business with Escape Online. While other companies can make it hard with excessive paper work which inhibits response times, Escape Online makes it their business to be easily contactable and responsive. They have a 24/7 response guarantee and I know I could call them at 6am if I needed to. The thing is, if I email or call, I know with 100% certainty that they will respond with urgency. Escape Online are technically competent – they know their stuff and they know our requirements, how we work and our history. “Escape Online are our internet and telephone communication providers and I am pleased to provide this testimonial for them. From the time they began working with us, they were helpful and demonstrated an understanding of our business. They have considerable IT expertise and made sound recommendations for us that have continued to work well for us over the past ten years. For example, their advice to go with VOIP was excellent and has saved our business considerable expenditure on phone bills. As a result we trust and rely on them for their advice. 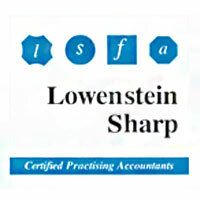 Lowenstein Sharp are also dedicated to meeting our client’s needs and expectations. That means we need to ensure our operations are smooth and trouble-free. We are dependent on having a quality internet service and telephone system that never lets us down. The best thing for us in having Escape Online as our providers is the fact that we have almost no down time in all the time they’ve been our providers. On the very rare occasion where there has been a problem, they respond quickly and efficiently - as if our business was theirs too. “Hudson Pacific Corporation is 100% Australian owned and is the largest member of the Countrywide National Distribution Group in Australia. As a leader in the food services industry Hudson Pacific has a hands-on management team that is in touch with today’s service needs and has a priority to further develop and strengthen relationships with our business partners. As the IT Manager for Hudson Pacific for more than 12 years I have numerous 3rd party contractors and when we built our new building back in 2000, I needed an ISP. My role is demanding and there are two critical aspects for me; Firstly I want to be able to contact the person in charge and secondly, I want whatever needs fixing, fixed right away. I have EscapeOnline on speed dial and I know the managing director, Alex Kain will answer and I know I’ll get an immediate response. With some companies you have to go through help-desk and jump through hoops and that will never work for me or for our company. When you’re running a group of companies, you can’t afford to wait. We need to know we are their priority and with the Escape Online team, we know we are. Their response time is second to none and they provide efficiency and support when we need it. The saving we make is in down time and because we can trust them we can get on with running our business. We are chased by their competitors on a daily basis but they don’t even get a look in because we’re loyal to EscapeOnline.